I have yet to finish The Book Thief which, unfortunately, to no avail. I’ve now decided to move on and accept that there are really some books, no matter how good the reviews and no matter how much I love to read, that are not for me. So yeah… I’m reading a new one. 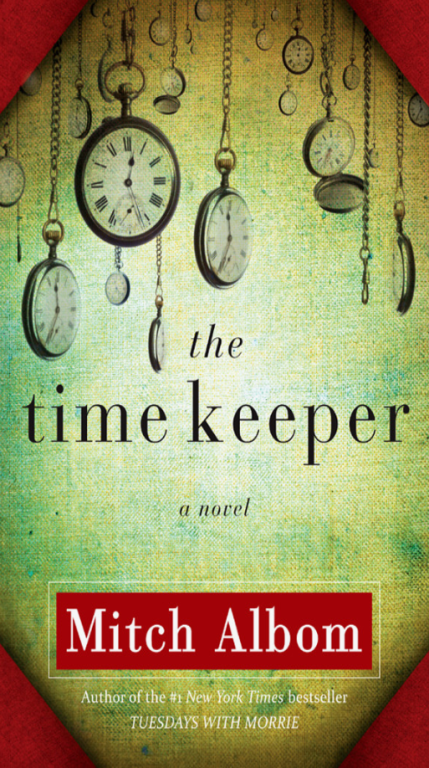 SYNOPSIS: In this fable, the first man on earth to count the hours becomes Father Time. The inventor of the world’s first clock is punished for trying to measure God’s greatest gift. He is banished to a cave for centuries and forced to listen to the voices of all who come after him seeking more days, more years. Eventually, with his soul nearly broken, Father Time is granted his freedom, along with a magical hourglass and a mission: a chance to redeem himself by teaching two earthly people the true meaning of time. He returns to our world–now dominated by the hour-counting he so innocently began–and commences a journey with two unlikely partners: one a teenage girl who is about to give up on life, the other a wealthy old businessman who wants to live forever. To save himself, he must save them both. And stop the world to do so. I am not a fan of Mitch Albom despite the fact that I do own two of his books and enjoyed reading “The Five People You Meet in Heaven”. However, I was at the mall, waiting for my cousin, when I decided to check my iBooks on my iPod, and this is the first one I saw. It was sent to me a month or two ago and I just said to myself, “Kim, you’ll be waiting very long for Mhel (my cousin) , why not read now and enjoy?” So I did. The opening of the prologue, “A man sits alone in a cave”, was already a compelling start for me. It talks of Father Time and two different people of the present time. How different are the two? One is an old man, rich and dying. One is a teenage girl, awkward and insecure. Two very different and very interesting persons.